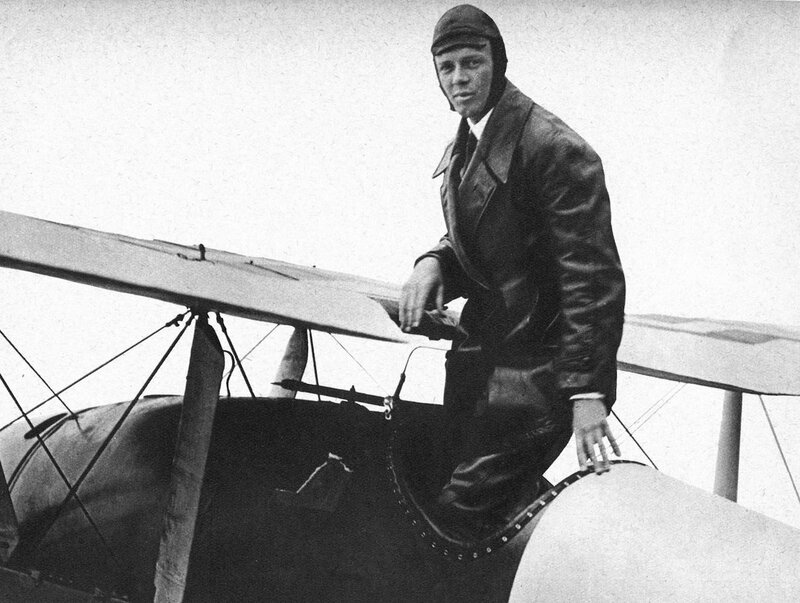 Charles Lindbergh isn’t just responsible for the world’s first transatlantic flight, but ushering in the beginning of modern aviation timepieces. 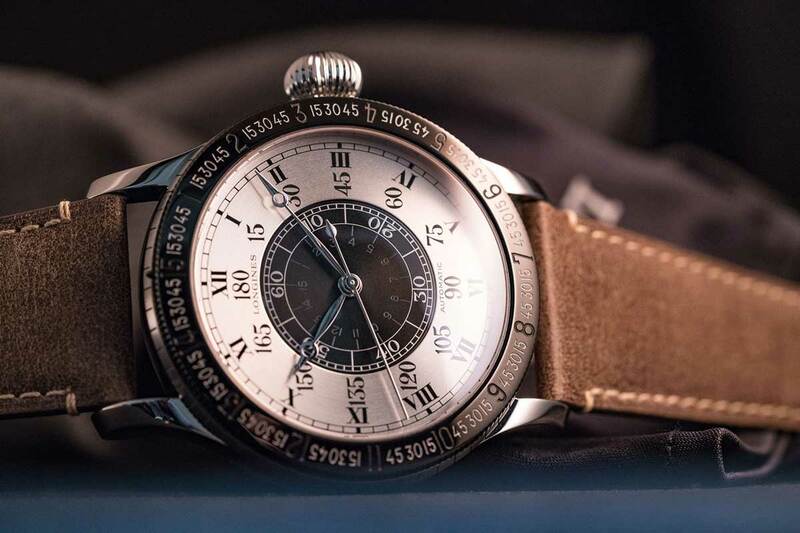 After his famous flight from New York to Paris in 1927, watchmaker Longines approached the pilot about collaborating to create a watch that would help fellow aviators on these new long-haul flights. Together, Lindbergh and Longines created the Hour Angle Watch in 1931. While the Longiness’ watch collection is quite fascinating and held in high regard, this one clocks in with amazing history. Weighing in at 47.5mm, this watch was large, and for good reason. The face of the watch has a lot to display — but it was most famously outfitted with the ability to measure the various angles of sunlight and help pilots determine their location, amongst other impressive navigational data. Nowadays we have GPS and other high-tech navigation techniques, but back then, this technology was absolutely revolutionary — let alone that you could wear it on your wrist. It’s safe to say this new technology in the watch he created with Longines was transformational to not only timepiece technology, but helping modern aviation push forward into the future. Perhaps the John Harrison of his generation. Other notable features of the watch include a rotating bezel which you can adjust backwards or forwards to the minutes that equals the Equation of Time for that day — let’s just say there was a lot of complicated math and maneuvering you had to do to utilize this watch’s navigational tech. Another interesting element of the original Hour Angle was that it was built with a converted pocket watch movement, because at that time, wristwatches still weren’t all that popular. Last year, at Baselworld 2017, Longines released their 90th-anniversary edition of this classic and historical watch. Now, the watchmaker had released re-issues of this before, but the anniversary edition is especially sharp while still taking direct inspiration from the original. 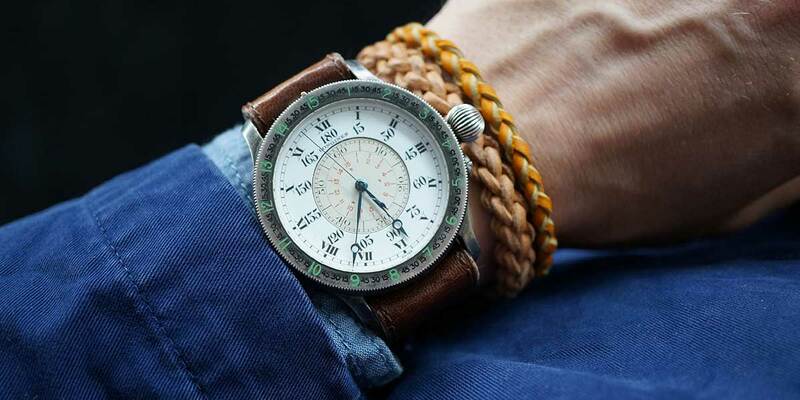 Today, while pilots don’t need to rely on the tech these pilot watches provide, the intricate details and mechanisms of aviation watches are still put on display — even if just for fun and fashion. This attention to detail has made pilots watches some of the most beautiful, and desirable timepieces on the market today. And because of this, we think it’s safe to say Lindbergh not only changed modern aviation, but watchmaking for the better.